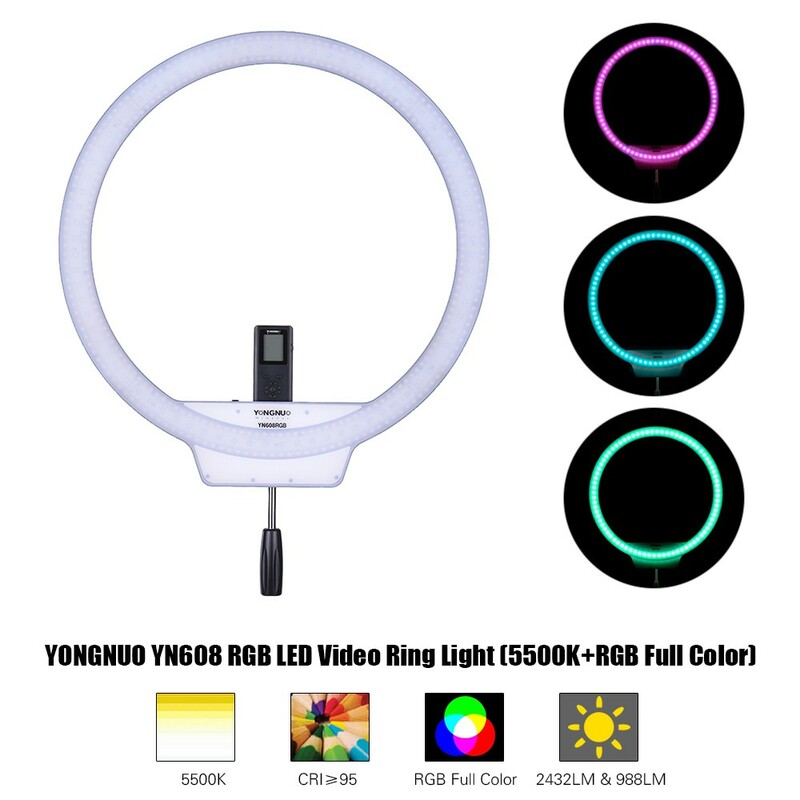 YONGNUO YN608 RGB LED Video Light is a brand new LED video light, specially developed for live video and selfie. 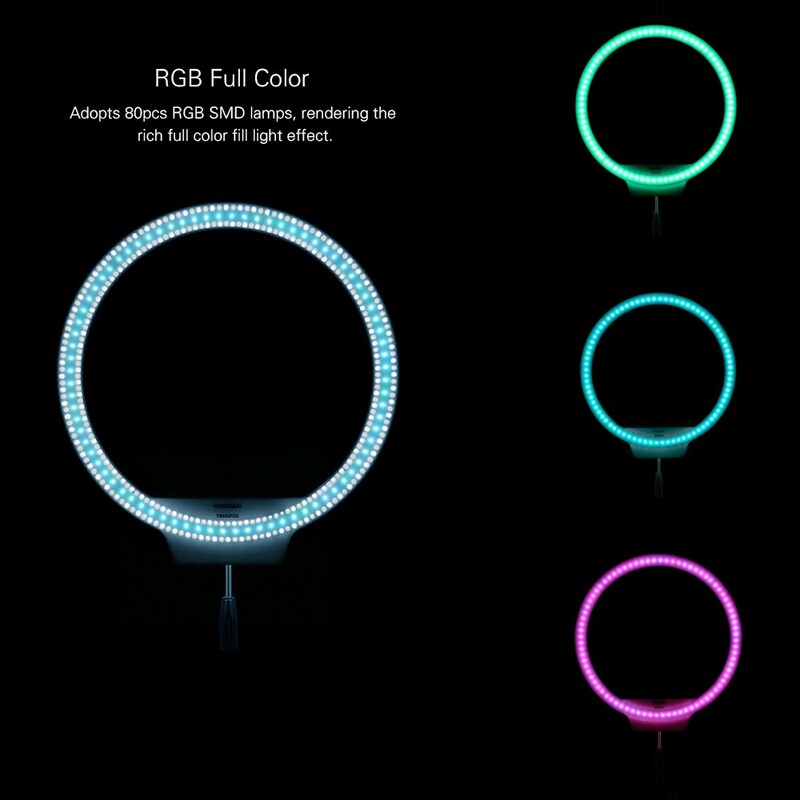 It adopts RGB SMD and LED lamp beads, rendering the rich full color fill light effect. 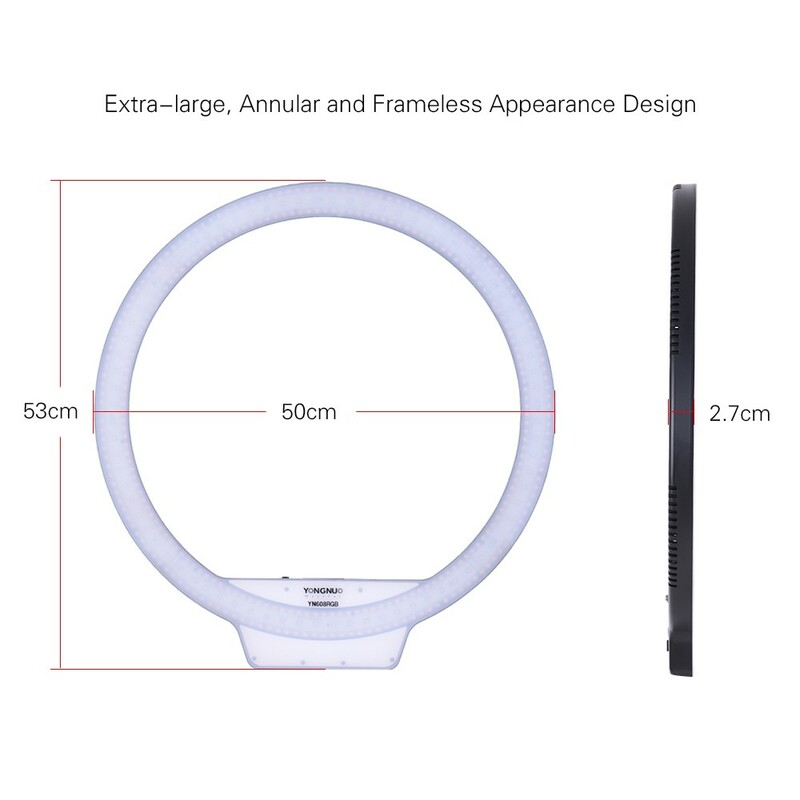 Adopts extra-large, annular and frameless appearance design. 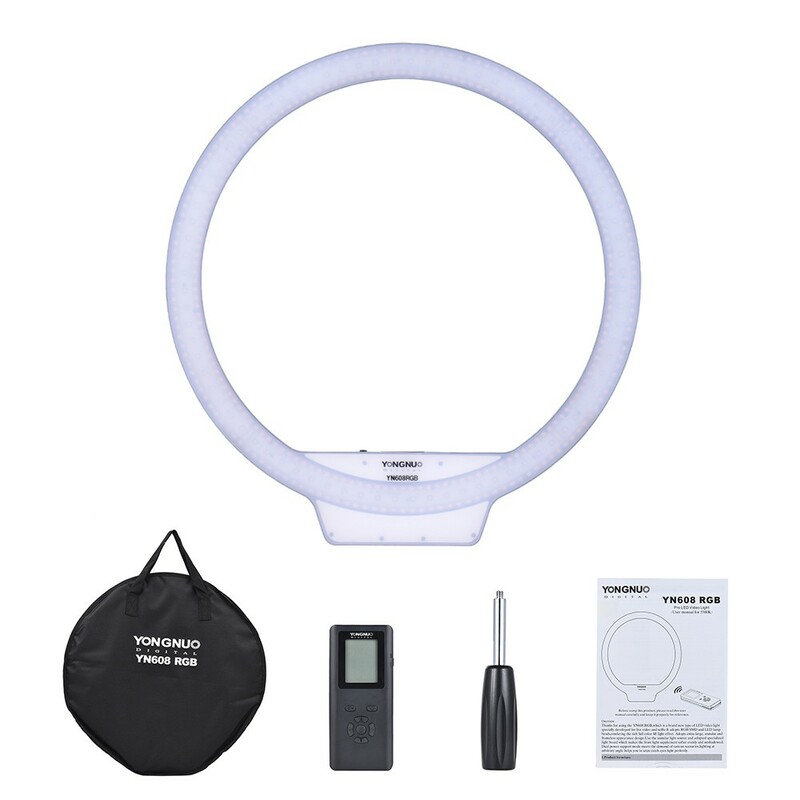 Use the annular light source and adopted specialized light board which makes the front light supplement softer evenly and unshadowed. 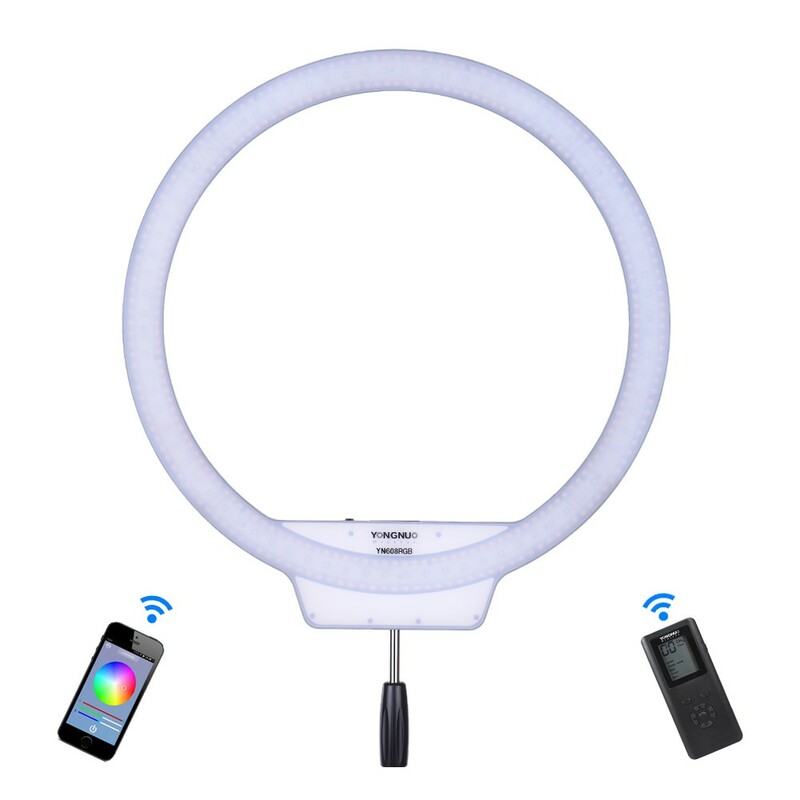 Dual power support mode meets the demand of various scenarios, lighting at arbitrary angle helps you to seize catch eyes light perfectly. Large Ring Design, RGB SMD and LED lamp beads integrated, which is easy to take the charming ring-shaped catchlights. Make your photographic with more unique. 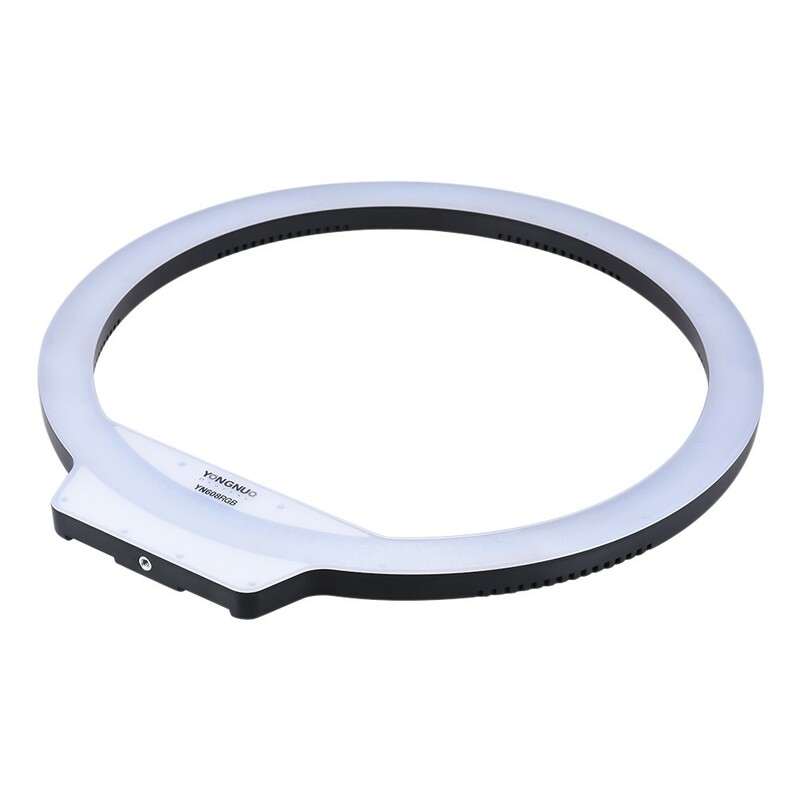 YN608 RGB adopts blue light filtering softlight panel to protect your eyes when this video light is continuously used. 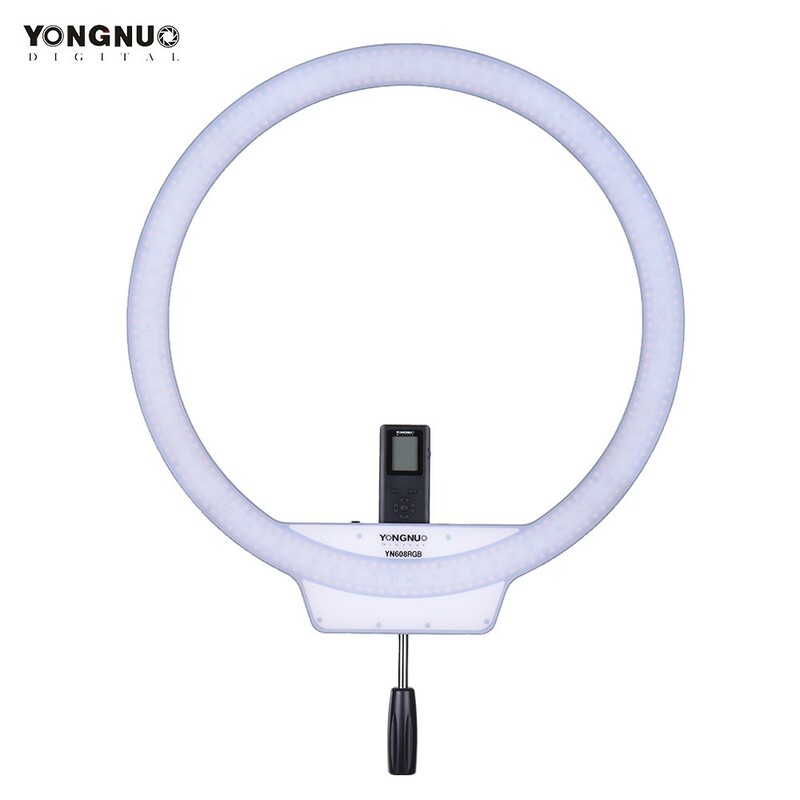 The mobile phone APP can be downloaded from the official YONGNUO website. 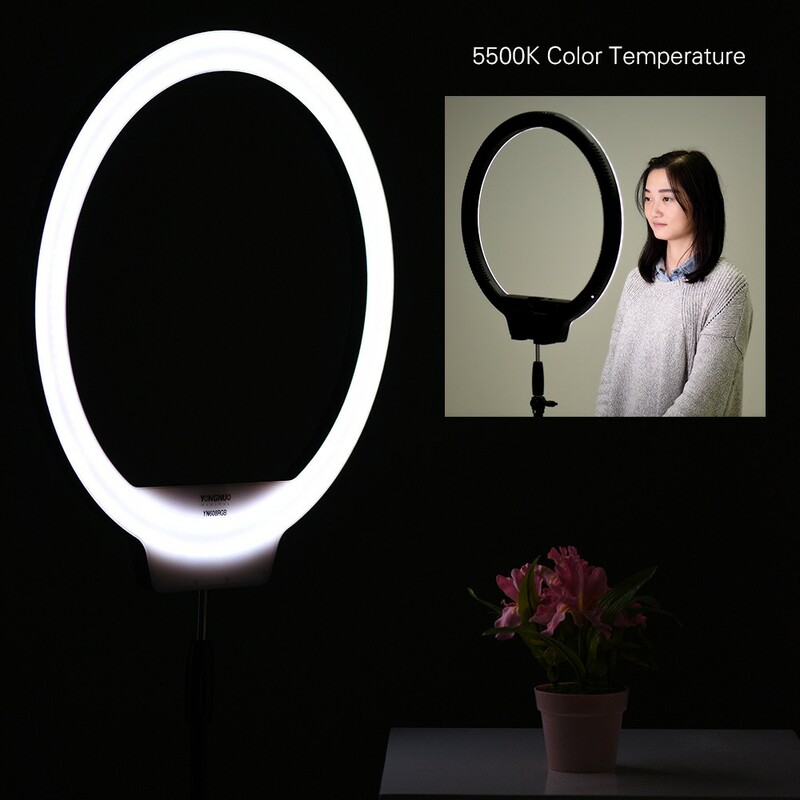 You can control YN608 RGB through the APP in your phone, read the current intensity and channel parameter, and control the intensity and switch of 8 group LED lights separately according to your need. 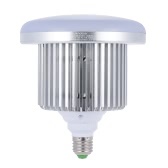 YN608 RGB adopts big chip and high CRI LED light source. 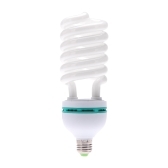 Low energy consumption, high brightness, and the color rendition infinitely approaches to natural light. 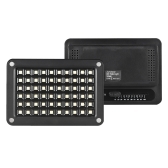 YN608 RGB is equipped with multi-channel wireless remote controller. 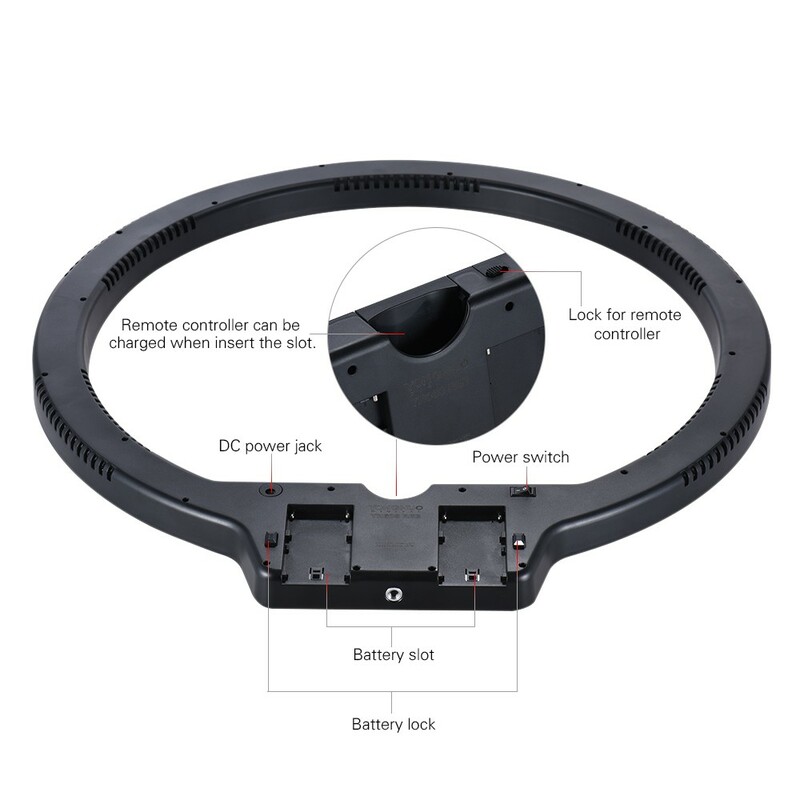 With this controller, you can adjust the brightness and switches remotely. 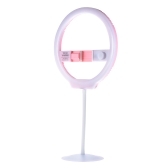 When the controller is out of power, you can put it into card slot of the LED video light and continue using it. 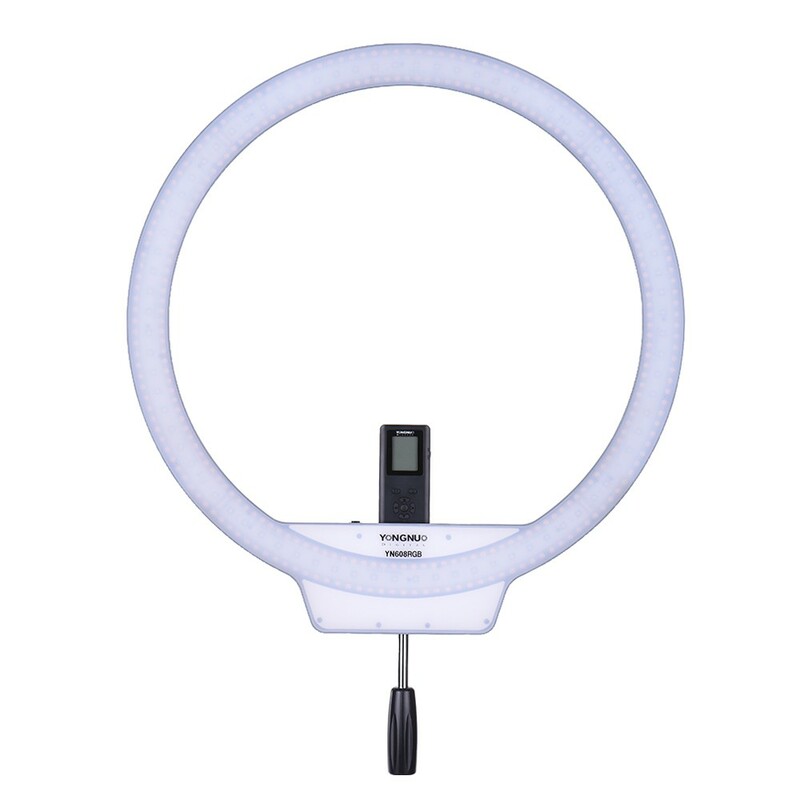 At the meanwhile, you can control the brightness and switches of the LED video lights of 8 groups separately. 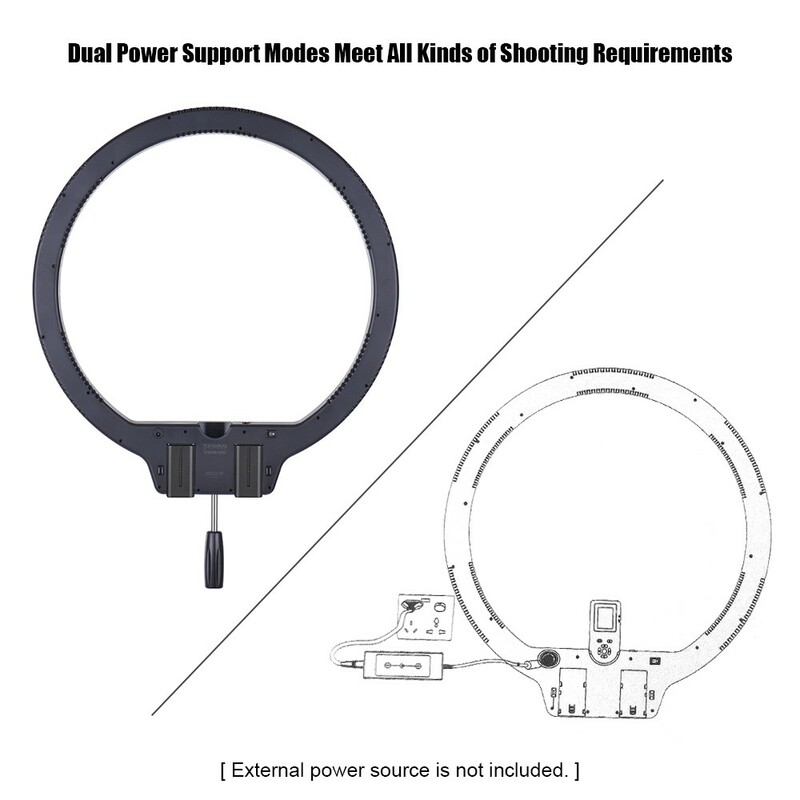 YN608 RGB adopts double mains input, which supports batteries of NP-F series and external DC main of 8-12V and 5A. 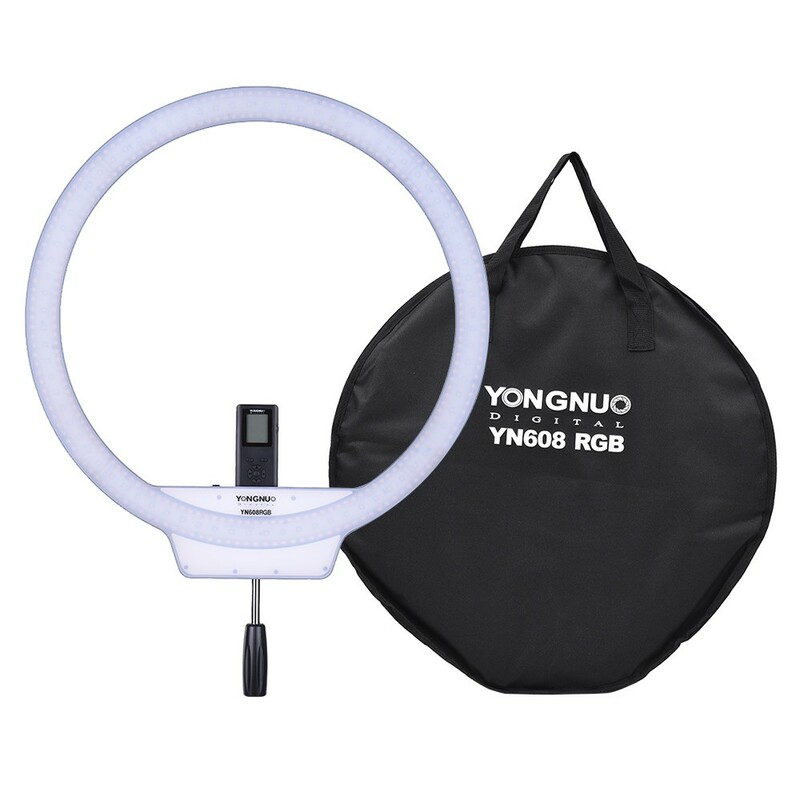 YN608 RGB adopts proprietary LED constant current driving technology which does great help to effectively avoid corrugation and stroboscopic flash. 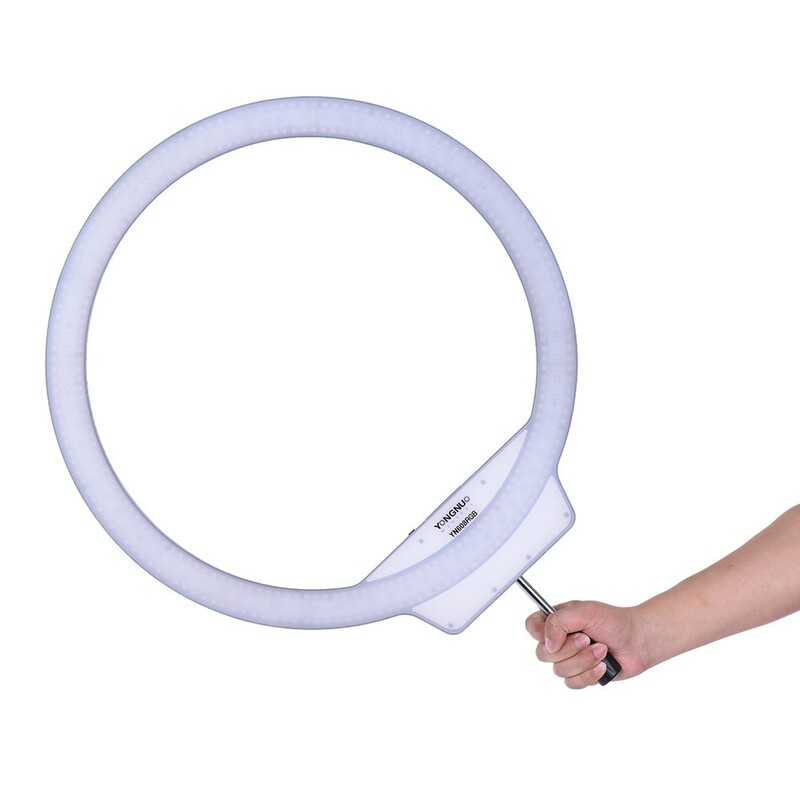 Comes with special handle grip for LED ring video light, which is firm and practical. 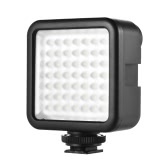 With a storage bag, convenient to store & carry the video light for shooting outdoor.